English football giants Manchester United will host French giants Paris Saint-Germain (PSG) in a round of 16 clash in Champions League at the Old Trafford stadium on February 13th. English football giants Manchester United will host French giants Paris Saint-Germain (PSG) in a round of 16 clash in Champions League at the Old Trafford stadium on February 13th. The Red Devils have been in an impressive run of form since the appointment of new interim manager Ole Gunnar Solskjaer, who has led the team without suffering a single loss so far. Ole was also awarded the Premier League manager of the month in December and the Player of the month was won by United forward Marcus Rashford. After winning his 10 games out of 11 played so far, everything seems to have fallen in place for Ole Gunnar and his Manchester United side. The English side have also had a blessing in disguise at the cost of PSG’s misery – the French league champions have lost key forwards Neymar and Cavani through injuries- both of them were among the highest scoring players in the squad. Thomas Munier is also left out of the clash due thigh injury. PSG will be banking on their young forward Kylian Mbappe. The 20-year-old is now burdened with a huge responsibility of carrying the team through this crucial tie. 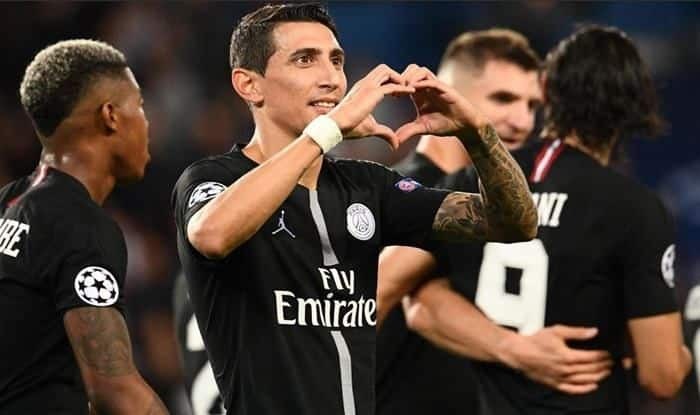 All eyes will be on Argentine winger Angel Di Maria, the former Manchester United man will return to Old Trafford and will eye to make an impact after having a horrific one-season stint with the Red Devils. When is the Manchester United vs PSG, Champions League match? The Manchester United vs PSG, Champions League match is on February 13. The Manchester United vs PSG, Champions League match starts at 1:30 AM IST. The Manchester United vs PSG, Champions League match will be played at Old Trafford. The Manchester United vs PSG, Champions League match will be telecasted live on Sony Ten 2 and Sony Ten 2/HD in India. How to watch live streaming of Manchester United vs PSG, Champions League match? The live streaming of Manchester United vs PSG, Champions League match will be available on Sony Liv, Airtel TV and Jio TV’s official app.